Meal kits have taken homes across North America by storm in the last decade. These meal kit services do all the dirty work for you, allowing you to focus on cooking instead of shopping, prepping, and then cooking. Thankfully, more and more services based in the United States have expanded north, and now Canadians can take advantage of these delicious and time-saving meals. We rounded up six of the best options; read on as we discuss them in greater detail below. Good Food makes it easier than ever to prepare delicious meals at home without dealing with most of the hassles that are typical when cooking for yourself. Good Food is a Canada-based company whose mission is to provide Canadians with delicious meals, while also reducing child hunger. For each box you buy, Good Food donates a meal to a Canadian child in need. They work with local producers to bring you meat and produce that’s up to seven days fresher than what you’d typically find in supermarkets. Their meals are also some of the most affordable around, and their flexible plans are designed to fit your busy lifestyle. Best for: Anyone looking to make delicious meals at home, affordably and in less time. Miss Fresh is another quality option, and they place emphasis on sustainability and green initiates, as well as delicious and easy to prepare meals. Working with Miss Fresh is exceptionally simple. The ingredients are pre-portioned, the recipes are detailed, and nutrition facts are provided for everything you’re eating, which really makes it easy to stick to a balanced diet. One thing that makes Miss Fresh unique is they also have breakfasts and snacks available. You could plan almost all your meals for the week with this service. Best for: Anyone who is tired of sacrificing taste, quality, and health because they don’t have more time to cook at home. 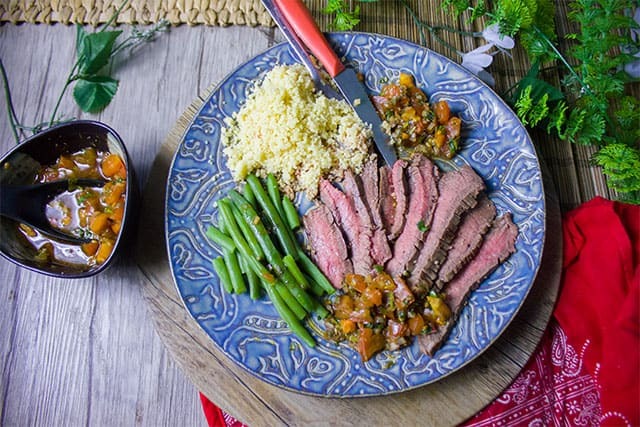 With an emphasis on flexibility and providing delicious meals that fit your lifestyle, Cook It is another great option when it comes to meal kits. Each week, they offer ten different exciting recipes for you to choose from. Then, a well-packed box of everything you’ll need to prepare each meal arrives at your door. They even offer fully prepared meals for the days where cooking just isn’t an option. 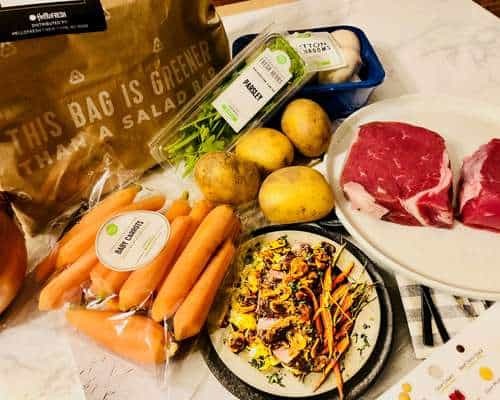 Perhaps the most well-known meal kit service, Hello Fresh has expanded their offerings to Canada to the delight of northerners everywhere. They offer delicious meals, shipped to you at no charge in recyclable packaging. Everything they source comes from ethical farmers that practice sustainability whenever possible. They also have a dedicated vegetarian plan, so those on a plant-based diet won’t be limited by only one or two choices each week. 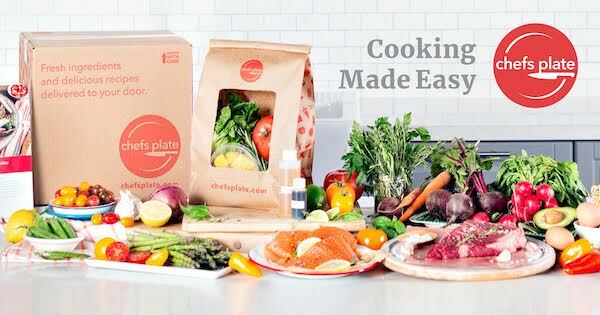 Chef’s Plate is another meal kit company that offers an interesting take on the industry that’s sure to be a great fit for many customers, especially vegetarians and anyone who is seriously pressed for time. Chef’s Plate puts an emphasis on sustainability and has piloted several initiatives designed to support local Canadian farmers, reduce food waste, and give back to local communities as well. Not only does Chef’s Plate allow you to create delicious meals at home, but they’re a company you can feel good about working with. 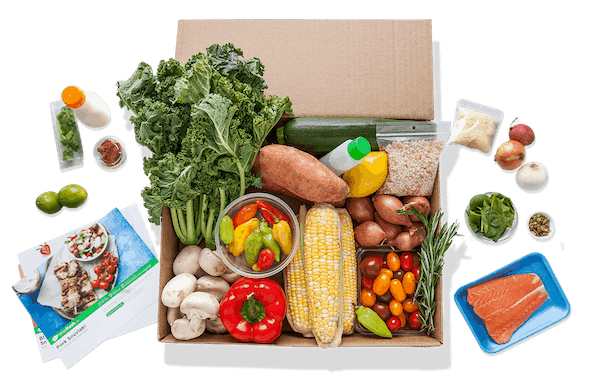 Rounding out our profiles of the best meal kit services in Canada is Prepd, an Ontario based service that’s making a serious splash in the meal kit space. Each week, you’ll make choices from an ever-changing menu of eight different meals. Prepd works with local farmers and suppliers in the Ontario area to delivery you the freshest and most nutritious ingredients around for you to quickly prep in your own kitchen. The one downside to Prepd is that they currently only serve the Ontario area, so you’re out of luck if you live elsewhere in Canada. We expect this to change shortly. 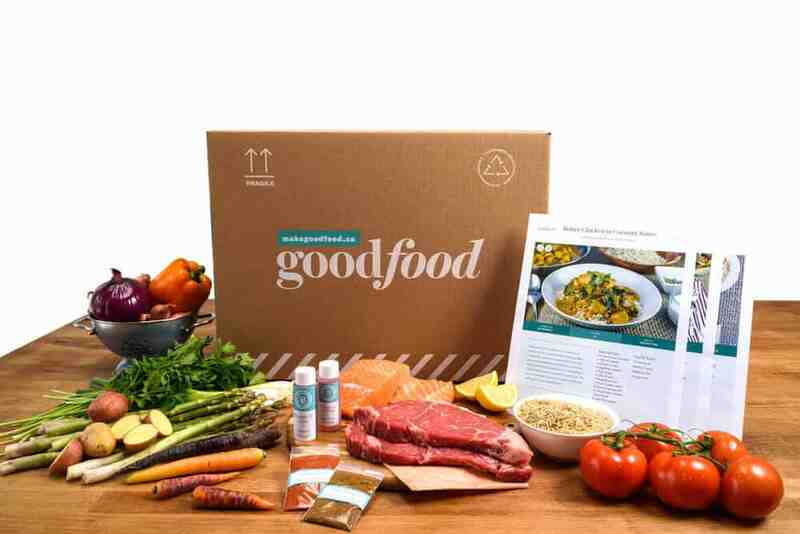 These six different meal kit services represent some of the best options available today. Our personal favorite of these six is Good Food, but there’s plenty of other amazing options, such as Chef’s Plate. While each of these different companies provides a similar level of service and seriously delicious food, you’re likely to find that one fits your needs better than the others. We recommend taking a closer look at each company to evaluate the best fit for you and your lifestyle.